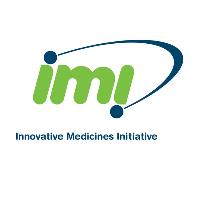 The next cut-off date for submitting proposals for IMI’s open Call on Ebola and related diseases (IMI 2 - Call 8) is 15 September 2016. Following the first cut-off date in March of this year, €55 million is left in the pot for future projects. The Call was launched to capture emerging scientific advances and to progress those rapidly into health care interventions. Projects funded under this Call should ensure fast development and a wide deployment of sustainable innovative solutions that will result in an increased readiness to respond to future outbreaks. Applicants should pay particular attention to exploiting support from different stakeholders, including the mobilisation of funds through the inclusion of contributing partners under the IMI scheme of public-private consortia. Proposals may address aspects of pre-clinical development and/or clinical development of vaccines, treatments and diagnosis of Ebola or other filovirus infections. Manufacturing strategies, vaccine stability during transport and storage, and/or deployment of vaccines and treatments are also in scope. There are a number of cut-off dates for this open Call, with the final cut-off date set for March 2018.